John Thomson in his Cassutt #34 “Snoopy,” a Formula 1 midget racer, one of the several planes he flew for 37 years of air racing. I never met John Thomson. Until some years ago, I’d never heard of him. 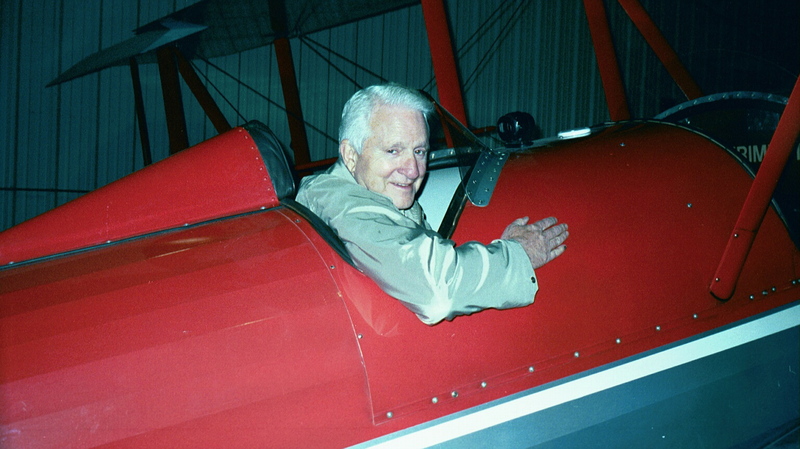 Now I know a lot about him, after reading his new book, “My Trips on Flights Fantastic–The Saga of an Aviation Pioneer.” I certainly wish I had met him and spent hours listening to his stories before he died five years ago. What? He has written a new book, but he died five years ago? How could that be? Be patient, and it will become clear soon. 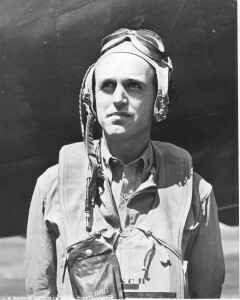 John Thomson, born in 1912, designed and built 14 gliders and airplanes by the time he was 22, met his wife through “two” forced landings, was one of the first Civilian Pilot Training instructors in World War II, spent 37 years racing military and Formula One “midget” planes, and was a pilot for TWA for 32 years. He did all that before building his own airport, restoring and flying antique airplanes, and building an aircraft museum. 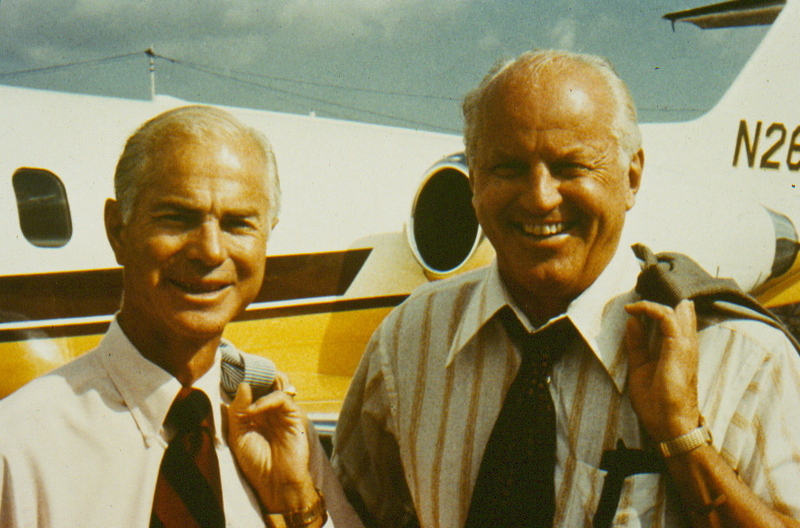 Frankly, as we used to say in the old days, “I double-dare you” to read the introduction by John’s younger brother, Wally, and chapter one, about John’s first airplane ride–with aviation legend Clarence Chamberlain, no less–without continuing to read the book! 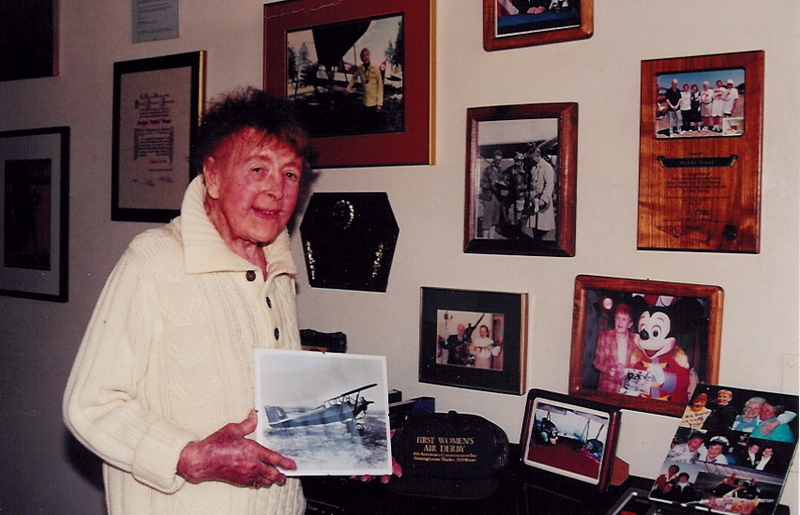 “My Trips on Flights Fantastic” summarizes John’s career of 32,000 piloting hours over a 70-year period, and meeting many aviation heroes of the 1920s and beyond. Over 100 captioned photos are placed appropriately in the text. I met Wally Thomson, John’s younger brother, about 10 years ago at a local meeting of the Association of Naval Aviation. Over six feet, slim and unassuming, Wally is now 88 years old, sharp as a tack, and very active in writing and speaking before groups. He was a Marine fighter pilot in WWII, flying F4F “Wildcats” and F4U “Corsairs” in combat in the South Pacific, and then was a test pilot flying, among other planes, the F7F “Tigercat.” He later became an aerospace engineer for 36 years. Wally, five years younger than John, was always close to his brother, and they shared many experiences in their early lives. John Thomson started his book in 1951, writing on the reverse side of some TWA emergency forms during one of his layovers with the airline. Over the years he added notes until he had about 25,000 words. In September 1995, after he was diagnosed with lung cancer, John had one lung removed. That’s when Wally and some other family members picked it up. Although John died in 2000, what had to be a labor of love by Wally for over five years has become a 308-page book with over 80,000 words. Wally basically took John’s notes and recollections, then added his own and family memories of his brother’s activities, filling in the gaps, as it were. So, although the book only lists John as the author, Wally wrote a good deal of the book, organized it, added the extensive table of contents and very detailed index, then had it professionally edited and published. The book is written in the first person, as if John wrote it all before he died–except for one chapter where Wally describes some of his Marine WWII fighter-pilot days. 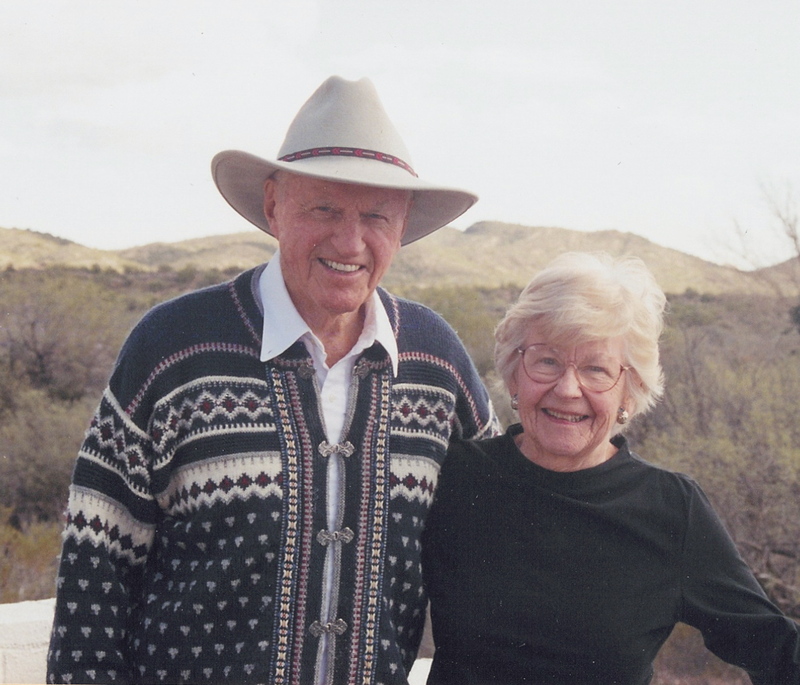 The book also ends with a beautifully written eulogy by Eric Chilton, John’s grandson-in-law, which brought tears to my eyes–as did other parts of this book that summarizes an extremely productive life. 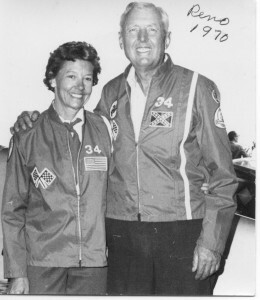 In 1936, John met Dorothy when he made two forced landings at the same location in Cocoa Beach, Fla., in his Aeronca C-3. They were married for 64 years until his death in 2000. 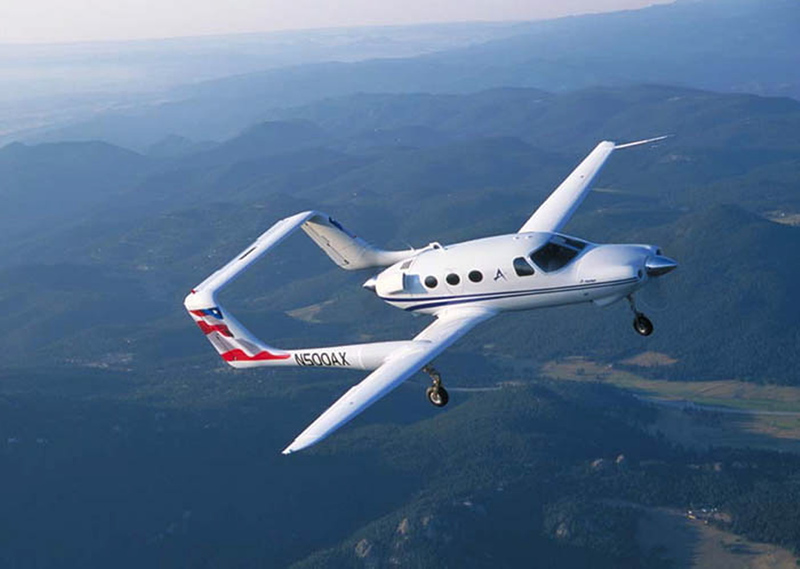 From their Hasbrouck Heights, N.J., home in their early years about a mile from a large meadow that became Teterboro Airport, John and Wally grew up in an aviation environment. 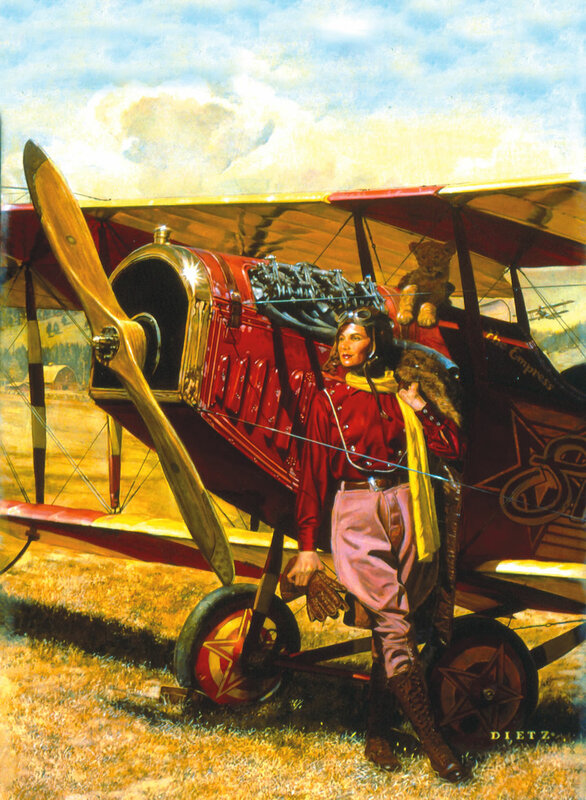 The book talks about the actions and accidents of various adventuresome aviation pioneers, many personally known to John, some of whom were killed. 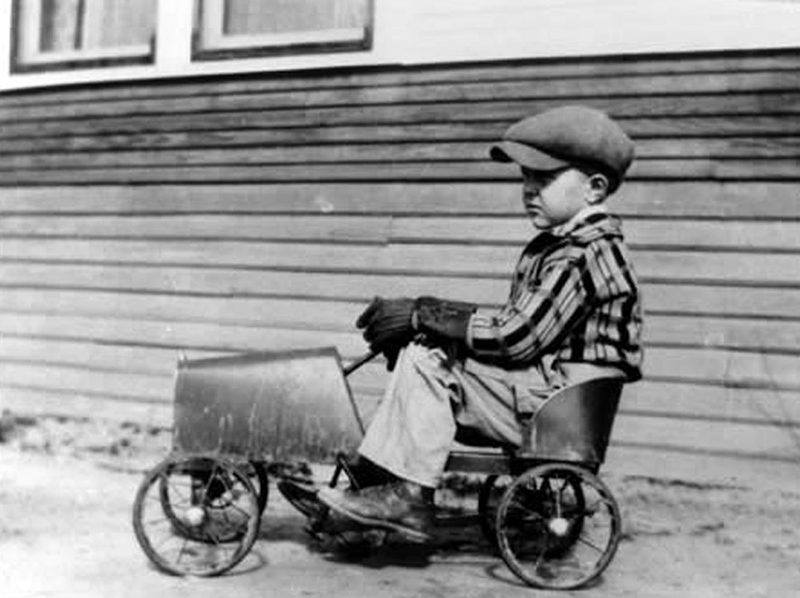 John’s own skill as a craftsman, engine mechanic and builder were amazing from a young age. He was a risk-taker in many ways, often saving his meager income from various small jobs to buy wrecked airplane carcasses to rebuild back to flying status, or to scavenge materials and parts for other projects. This even included rebuilding complete aircraft engines for his own aircraft designs. John built his first glider–a biplane with a 22-foot wingspan–when he was 15. His first flight lasted a matter of seconds, and barely got off the ground. In a later flight, it crashed from a height of about 30 feet when a wing folded. John sprained an ankle, putting him on crutches for a few weeks. 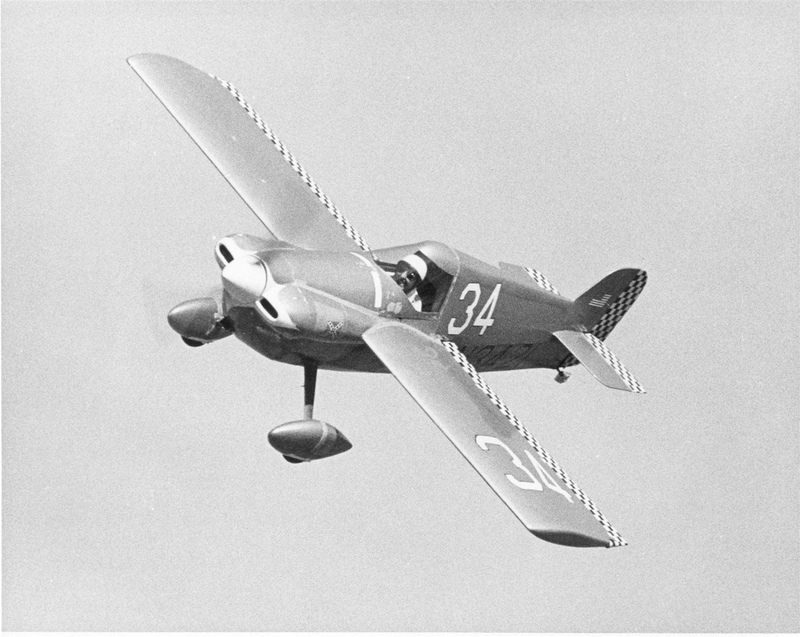 While he had various jobs, from 1927 to 1934 he designed and built–in the family two-car garage, attic, backyard or cellar, sometimes with the help of others–14 gliders and airplanes which he flew, or tried to fly. John and Wally’s father, Jay Earle Thomson, while not a pilot, was tolerant–up to a point–of John’s projects. Jay Earle, who had become supervising principal of the Hasbrouck Heights schools, wrote and published a great many books, most of them textbooks for elementary and high school students. He also had a streak of the adventurer in him, traveling to and writing books about Switzerland, Scotland, Alaska, the Panama Canal, South America, Greece and Poland. The book describes how two forced landings in Cocoa Beach, Fla., when the population there was tiny, led John to meeting Dorothy, his wife for 63 years until he died. Then he describes building and flying seaplanes, becoming a Civilian Pilot Training instructor at Teterboro Airport, and entering his first air race in 1937 with his own homebuilt biplane. He came in last! 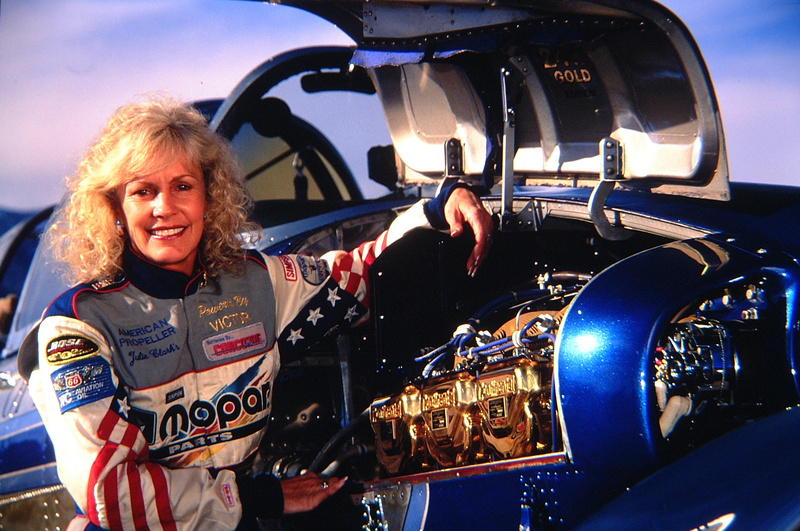 Air racing was suspended during WWII, but after the war–even though he had been a TWA airline pilot since 1940–John got started again in air racing with a twin-engine P-38 “Lightning” fighter plane he bought for $1,250 and modified for racing. He raced the aircraft in the all P-38 Sohio Race in September 1947, and came in fourth with an average speed of 328 mph. He continued air racing in Formula One (midget) racers until 1973, all the while flying with TWA. John’s first flights with TWA–originally known as Transcontinental and Western Airlines, and later as Trans World Airlines–were made in the Douglas DC-2. He later transitioned into the DC-3, C-47 (with the Air Transport Command during WWII), and DC-4, and flew the Lockheed Constellation for many years. 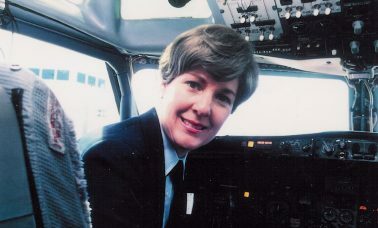 He ended up a captain on Boeing 707 jets until forced retirement at age 60 in 1972, after 32 years with TWA. In 1966, while still with TWA and still air racing, John and Dorothy moved to Florida, and he decided to build his own airport. He bought land, cleared a grass runway, and Thomson Airfield in Ellenton, Fla., became a haven for antique and other small planes, including some John built and flew. Also, he enlarged their home and created an aircraft museum with antique aircraft engines, propellers, airfoils, photograph albums, aviation library and even a WWI J-1 Standard biplane. 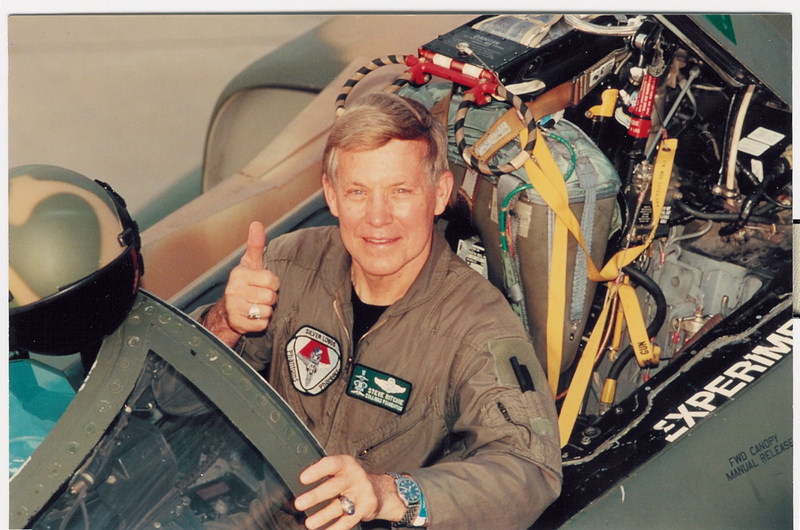 In 1979, he was inducted into the New Jersey Aviation Hall of Fame, which includes Charles Lindbergh, Amelia Earhart, Clarence Chamberlin, Anthony Fokker, Arthur Godfrey, Edwin “Buzz” Aldrin and Malcolm Forbes. If you have any interest in some of the many people who were part of aviation history in this country, you’ll want to get this book. It’s available at [http://www.amazon.com].